German police raided the headquarters of Volkswagen on Thursday as part of an investigation into the automaker's diesel emissions scandal. State prosecutors and police searched Volkswagen's offices in Wolfsburg in a bid to secure documents and databases that could shed light on which employees were responsible for cheating pollution tests. Volkswagen (VLKAY) said it handed over a "comprehensive collection of documents" to the officials, and would support the work of the prosecutors to the best of its ability. "This will help to bring about a swift and complete resolution of the case, which is very much in Volkswagen's interest," the company said in a statement. The giant automaker has been thrown into its worst ever commercial crisis after it was caught cheating emissions tests for diesel vehicles in the U.S. The German government says the company was cheating in Europe too. Volkswagen has admitted that as many as 11 million diesel vehicles worldwide may have been fitted with software that allowed the cars to run much cleaner in tests than they did on the road. The company has set aside 6.5 billion euros ($7.3 billion) to settle issues arising from the tests but analysts say the figure could be far higher. Credit Suisse has estimated it could hit $87 billion in a worst case -- more than the cost of BP's Deepwater Horizon oil spill disaster. The raid came as Michael Horn, head of Volkswagen in the U.S., prepares to field questions over the scandal before lawmakers on Capitol Hill. 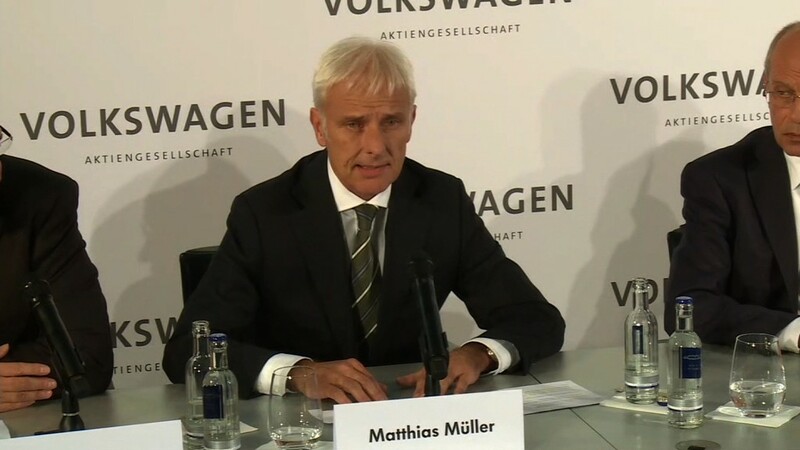 Related: Could VW scandal cost more than the Deepwater oil spill?